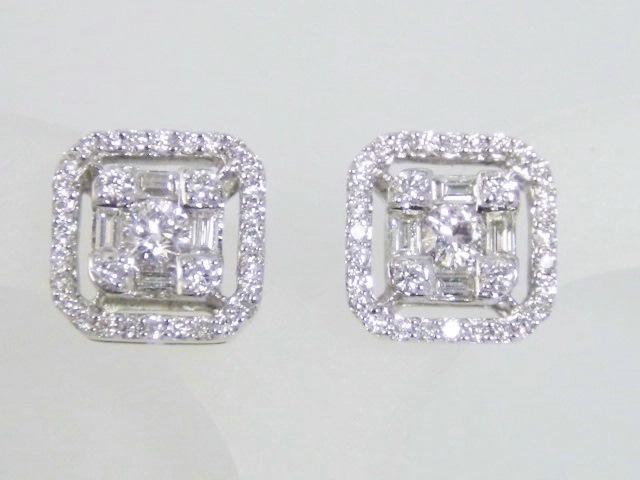 Ladies 18k white gold and diamond stud earrings. 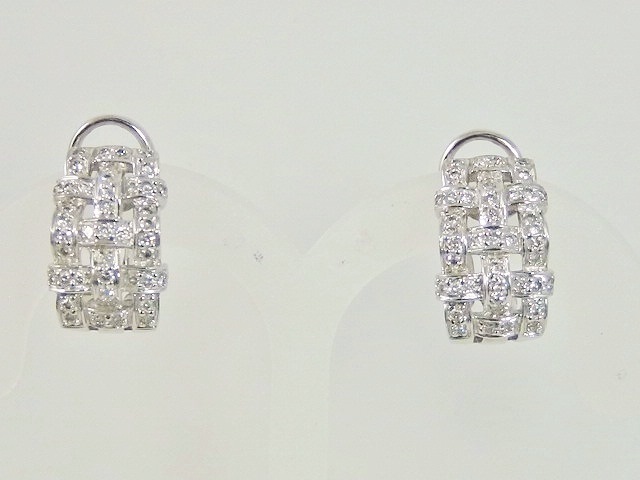 Each earring has 5 round diamonds and 4 baguette diamonds in the center. They are surrounded by a halo of 28 diamonds. 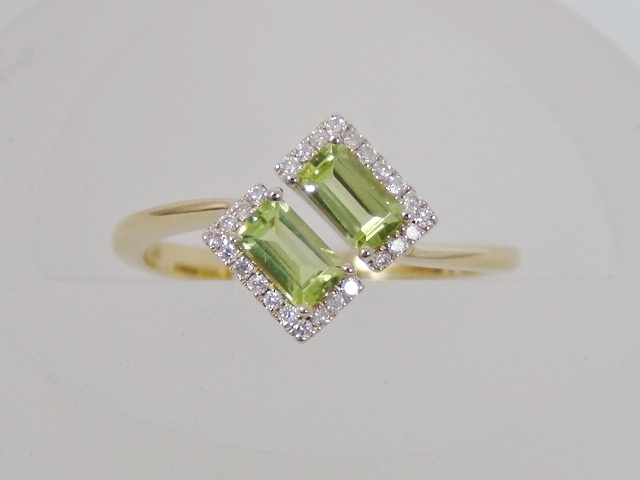 Total diamond weight of both earrings is .57ct. Category: Gold Earrings. Tags: baguette, diamond, halo, round, stud.